Writing, drawing, sculpting, gardening, cooking, feeling, Sue Becker can do it all. Her bold, rhythmical drawings blend with her prose to form the perfect recipe for a story. Each chapter contains an original pastel image infused with local color, red ripe tomatoes, baby blue ice cream, Catholic Church ladies. A true blue plate special! Writing, drawing, sculpting, gardening, cooking, feeling, Sue Becker can do it all. Her bold, rhythmical drawings blend with her prose to form the perfect recipe for a story. 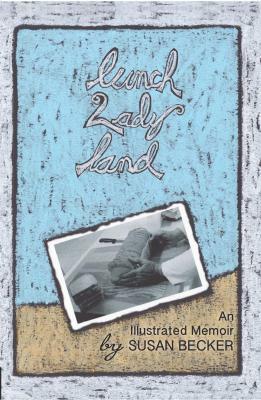 Served up with humor and heart, Sue Becker’s Lunch Lady Land is a beautifully illustrated account of bittersweet memories, new beginnings and lasting friendships.Lunch Lady Land is food for your soul. Enjoy!